This weekend in Bangalore went pretty well. I watched two movies. Both of them are rated high in the imdb and rotten tomatoes. The two movies I watched were Das Experiment and Die Welle. Both the movies were fully German movies and I had to have subtitles to catch what was being spoken. It was nevertheless extremely enjoyable. 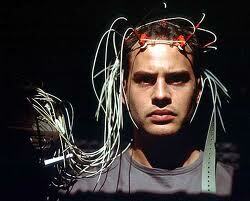 Indeed Moritz Bleibtrau's acting is really super. In Das Experiment 14 guys volunteer to be a part of an experiment to analyse human behavior in case of complete dissociation and stress. The narrative is awesome and keeps you sitting with eyes fixed to your screen. The acting is exemplary. Both Moritz and Christian Berkel excelled (as usual). If you like thrillers with a twist, you must watch this. In many cases the protagonist is forced to go through humiliating experiences and becomes a witness to an experiment gone horribly wrong. I honestly feel like telling you the entire story but that would be a ridiculous spoiler for all of you. Instead you better watch it and let me know in the comments below how you like it. 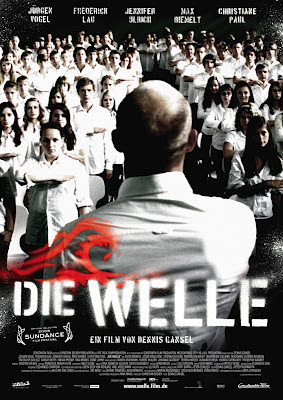 Die Welle or The Wave is also an experiment conducted by a history teacher to let his students learn by example how, in spite of their upbringing and convictions, ordinary people of a country can be 'misled' into supporting and becoming a part of authoritarian regimes. It dispels or tries to dispel the 'myth' that Nazi Germany is only history and can certainly never again happen to the Germans in future. Personally I felt the German revulsion to feeling patriotic disgusting, but otherwise it is a great watch. In the end, this also goes tragically wrong but the idea is what stands out of the rest. Only thing that itches me is its ultimate oversimplification, that is associating authority with fascism or more specifically in this case, Nazism.